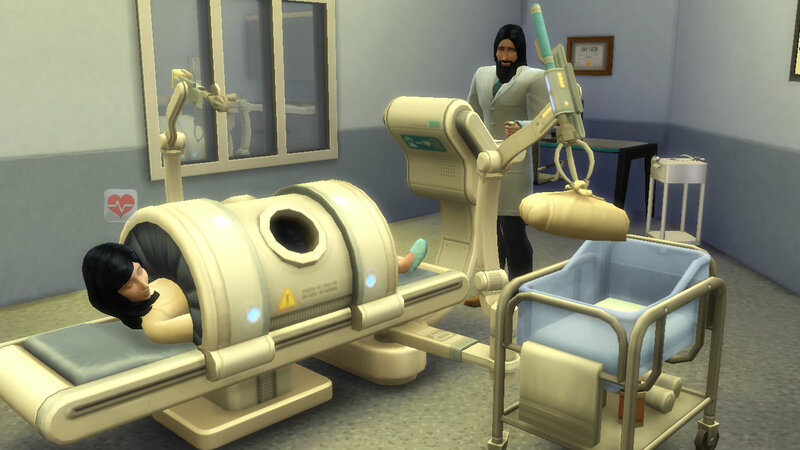 All patients who appear at the hospital or other public venues are Unplayed Sims. 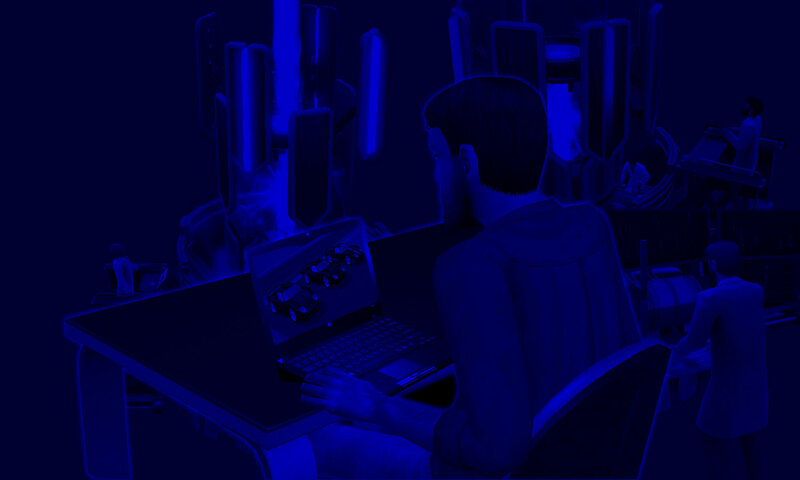 Even if the house call takes place in a Played sim’s home, the patients are still Unplayed visitors. I usually prioritize patients with sores as skin overlay (see above pic), as I can immediately rule out “No Illness”. – ​For regular hospital cases, ​I always save before diagnosing patients. – If I can’t clearly interpret the patient’s visual symptoms, I’ll hazard a 50% chance (1 of 2) at the “Compelling Diagnosis” stage. 33.3% is too risky, in my opinion. Forget the 25% or 20% chances available in the “Weak Diagnosis” stage. Keep running more tests to increase the chances of an accurate diagnosis. – If I’m wrong, I quit without saving back to the main menu, then reload my hospital scenario just before the diagnosis. After I reloaded, it is either ​“Burnin’ Belly” or “Llama Flu”. – After losing the coin flip a second time, I reload the exact same scenario once more. This time, the decision is between “Bloaty Head” and “The Triple Threat”. Fortunately, my doctor makes the “correct” choice this time, and I can finally move on to the next patient. If I got it wrong again, would the choice be between “Sweaty Shivers” and “Starry Eyes”? – This “random illness bug” only appears when I reload the game after a wrong diagnosis. When that happens, it really doesn’t matter which option I choose, for it is as random as a coin flip. However, if I can interpret the visual sickness symptoms on my first attempt, these are usually consistent with my diagnosis choices. If I’m fortunate, the Treadmill Test or X-Ray Machine may help me reach a “Guaranteed Diagnosis” quickly. – Promotion requirement from L8 to L9 of the Doctor career. – Many work days may go by without any “Pregnant patients” arriving at the hospital. 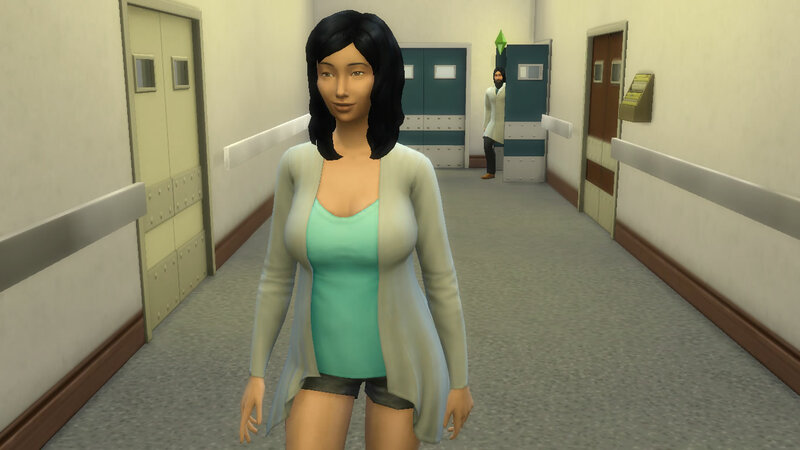 – There’s no point in making other sims in the neighborhood pregnant. 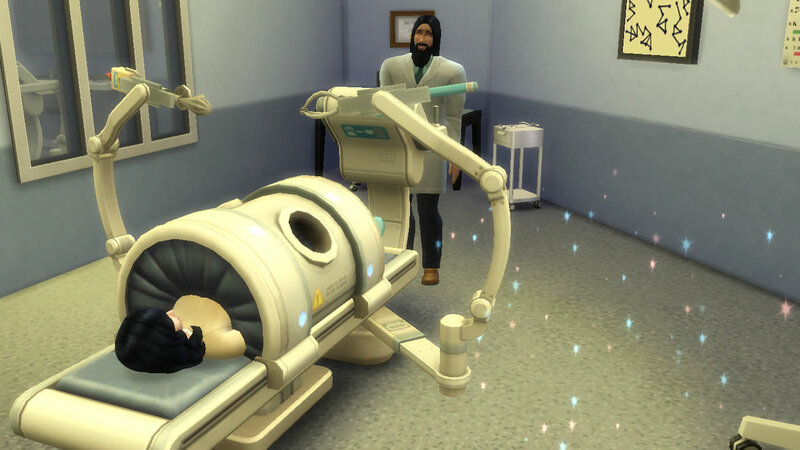 – When the time comes, the “Pregnant Patient” (she will be labelled as such) will be spawned by the game, with a dialog box informing the doctor about the arrival of the “Pregnant Patient”. Drop everything else and lead her to surgery immediately. – Towards the end of the surgery, a baby container will automatically appear, and the delivered baby will be put into it. However, the baby container (and the baby) suddenly disappear moments later. 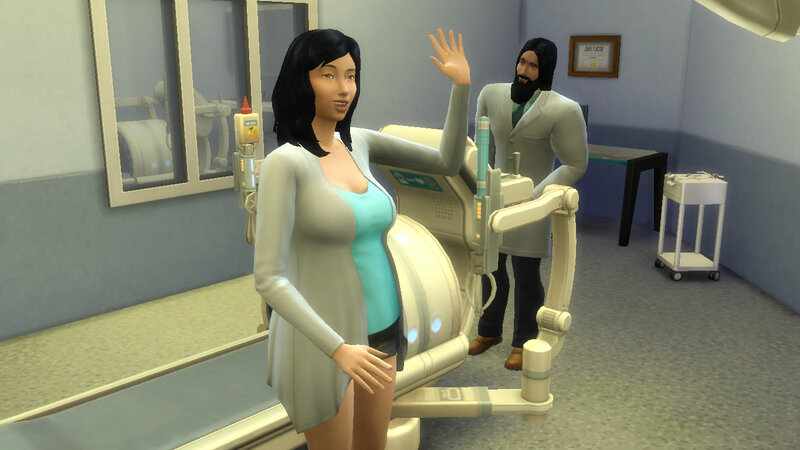 – The formerly “Pregnant Patient” emerges from the Surgery machine, walks out of the surgery ward without her baby bump… and without her baby. – After my doctor’s shift​​, I checked “manage households” in neighborhood mode, to see if the baby is with its mother in the relevant household. 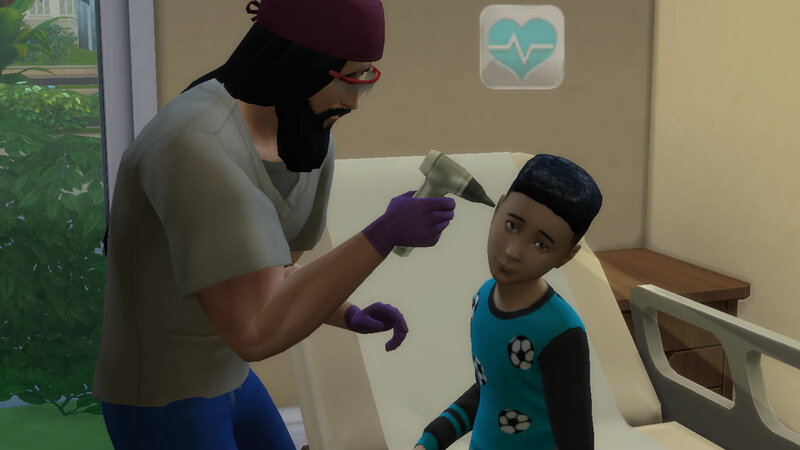 No child, not even after several sim days. My aging setting is “Aging Off for ALL Played Sims”, but “Aging On for all Unplayed Sims”.